The EB-5 visa is an immigrant visa for investors. The EB-5 visa allows a person to get a green card to the United States for themselves, their spouse, and their children under 21 years old, based on making an investment in the United States. The basic idea of the EB-5 program is that by investing in a United States business, and creating jobs for US workers, you are stimulating the economy. In exchange for this benefit to the US, you are eligible for permanent residence. A new commercial enterprise is any for-profit business, that is engaged in lawful activity, and that was established after November 29, 1990. As an investor, you can either invest through a regional center, start your own business, or purchase an already existing business. If the business is located in a “targeted employment area” you are eligible to invest $500,000 to qualify for an EB-5 visa. If the business is not located in a TEA, you must invest the standard amount of $1 million. You must show that the money you are using for your investment was obtained free from any illegal activity. Some examples of lawful funds include: 1) employment earnings; 2) proceeds from the sale of a property; 3) having the funds gifted to you; 4) a loan. The investment funds cannot just sit in the business bank account. The funds should actually be spent or otherwise committed to the business. In some situations, the funds can be held in an escrow account until your EB-5 visa is approved. Qualifying US workers must be either US citizens, lawful permanent residents, or other immigrants authorized to work in the US. You, as the investor, do not qualify as one of the 10 employees. Your spouse and children similarly do not count. You must have some role in the management of the business. In some cases, this role can be very minimal. For example, if you invest in a regional center project, you control is limited to voting on major decisions. Your immigration lawyer can determine if EB-5 is the best option for you or if there are other options that are more suitable for you. Your immigration lawyer should be involved as early as possible to ensure that the business you invest in satisfies the immigration requirements of the EB-5 visa. You can either invest in through a regional center or make a direct investment. Regional centers are entities that are designated by USCIS to sponsor EB-5 projects. Regional centers typically pool together investment funds from many EB-5 investors to sponsor large project such as hotel developments. A direct investment is any investment that is not through a regional center. Examples of direct investments include: 1) starting a business; 2) investing an existing business. Your immigration lawyer will then prepare and file a Form I-526 on your behalf (this is the initial immigrant petition filed with USCIS). Once this is approved, you are eligible to become a conditional permanent resident. For a 2-year period you are considered a conditional green card holder. You basically have the same rights as any other US green card holder, except that your green card expires in 2 years. 21 months after you become a conditional permanent resident, you are eligible to apply to remove the condition from your green card, to become an unconditional permanent resident. To do this, your immigration lawyer will prepare and file a Form I-829 on your behalf. At this stage, USCIS wants to see that you have kept your investment funds at risk and that your investment has led to the creation of 10 full-time jobs for US workers. 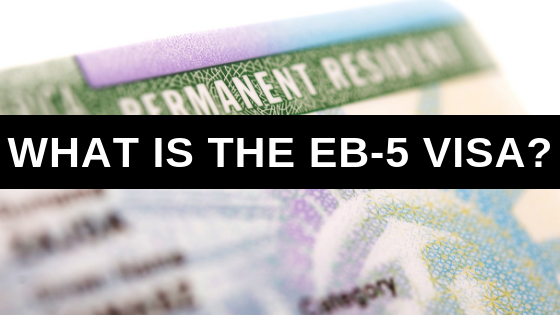 Who is Eligible to Apply for an EB-5 Visa? As long as you satisfy the requirements for the EB-5 visa, and you are not ineligible for some other reason (such as a criminal record), then you are eligible to apply for an EB-5 visa. The EB-5 visa program allows people from all over the world to get a green card to the United States based on making an investment in a US business. The EB-5 visa can be a great option for you if you can satisfy the EB-5 requirements. 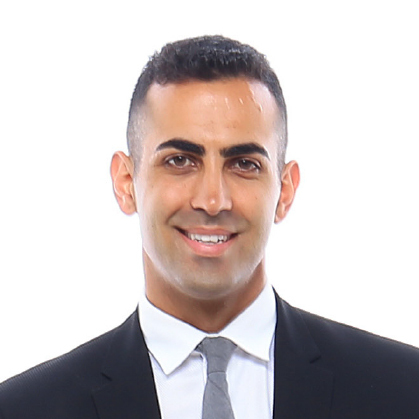 If you have any questions regarding any of the information in this guide, or if you’d like my help with your EB-5 visa, please email me directly at Michael@AshooriLaw.com. My law firm focuses on the EB-5 visa and we would be happy to help you.